Yesterday I received one of my favourite yearly emails - the Davids Tea Fall Collection! This is easily my favourite collection they have ever done, from the tea flavours to the packaging to the mug designs. 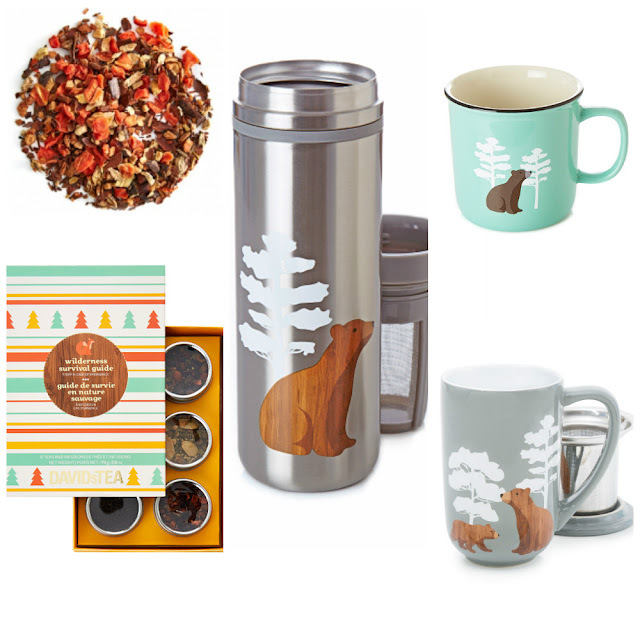 Woodland Bear seems to be the theme of the packaging and mug designs and I'm loving it all. The urge to buy this travel mug is strong and I might have to add a new mug to my already overflowing collection. Pumpkin Chai comes out every year at Davids Tea and it's by far one of my favourite teas. I drink it all year round because I buy enough at the end of winter to get me through until it's out again. But I'm so curious to try the Carrot Cupcake and Pom Cider. They sound right up my alley. Once I try some of the new teas I'll be sure to report back on how they are! AHHHHHHHHHHHH! I am completely in love with the aesthetic of this collection! And the teas sound delicious<3 I always drink Pumpkin Chai too (but I've always had the Tazo kind, never the David's Tea blend!). I'm looking forward to trying everythinggggggg. And I love how many Fall posts you've been sharing! My excitement is in full force!! Seeing these makes me glad I've put off getting a travel mug. Bears FTW! And man, all those flavours sound incredible.